Hollyoaks car crash! Can Holly and Robbie or Nathan and Rachel have a happy ever after? Channel 4 viewers of Hollyoaks on Good Friday saw Holly (Amanda Clapham) being told by Freddie (Charlie Clapham) that she has to give up the man she loves, Robbie (Charlie Wernham), for the sake of his twin Jason (Alfie Browne-Sykes), who loves her. And, to give Jason back his brother, Holly lied and told Robbie she had slept with Jason. Channel 4 also showed broken-hearted Rachel (Jennifer Brooke) packing alone for a trip to South America after Nathan (Jared Garfield) dumped her for lying to him about little brother Alfie’s cancer. Any fans who then switched straight to E4 for first-look Hollyoaks saw how all this heartache became an even bigger tragedy… If you want to find out for yourself in Monday’s C4 episode, stop reading now! Nathan and Rachel made up and took off for their trip of a lifetime. Robbie said he was leaving and Jason said he was going with him – to South Africa. Then they all started getting into cars and you just knew that trouble was right around the corner. Holly has a few drinks. Jason phones and tells her to get to the airport for Robbie. With Cleo’s encouragement, Holly jumps in a car with her and races to the airport. They get there in one piece, too. Nathan and Rachel’s car they’re driving to the airport has broken down… Nathan’s standing outside the car when Holly smashes into them. But Rachel’s inside…and she’s trapped.  Fans can see all the horror in Hollyoaks on C4, Easter Monday, 6.30pm. To see what happens afterwards, watch first-look Hollyoaks on E4, Easter Monday, 7.00pm. 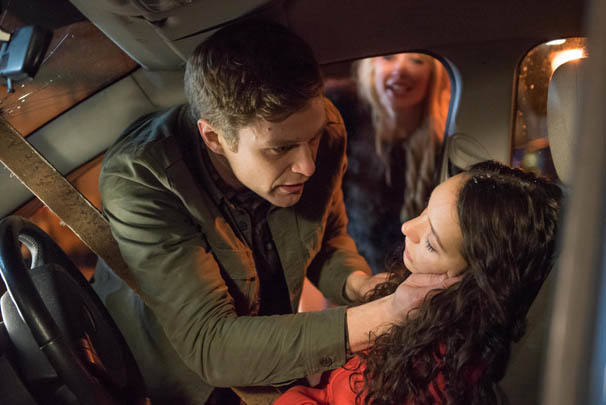 Our sneak preview picture reveals Nathan desperately trying to free unconscious Cleo (Nadine Mulkerrin) before the car is crushed by a toppling tower. But where’s Rachel? Can Nathan get Cleo out of the car before it is crushed?